We released the update for users who have the latest versions of Skype installed. This applies to users with Skype version 8.x, 12.x, installed on their Windows 7, Windows 8, Windows 10 and Mac OS X desktops. Please note that some Skype recording options have slightly changed in this version. 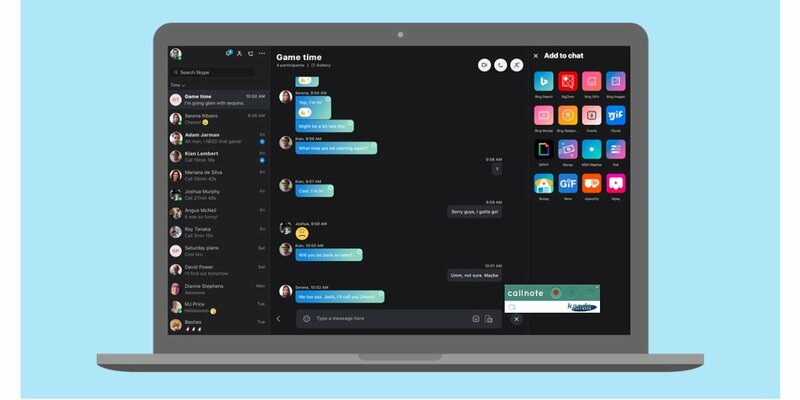 It was a forced measure for us, as Skype developer turned off all connection options for external products, that is for Callnote. No Connect button in Skype recording options (or Connect button is greyed out). No option to start recording automatically. 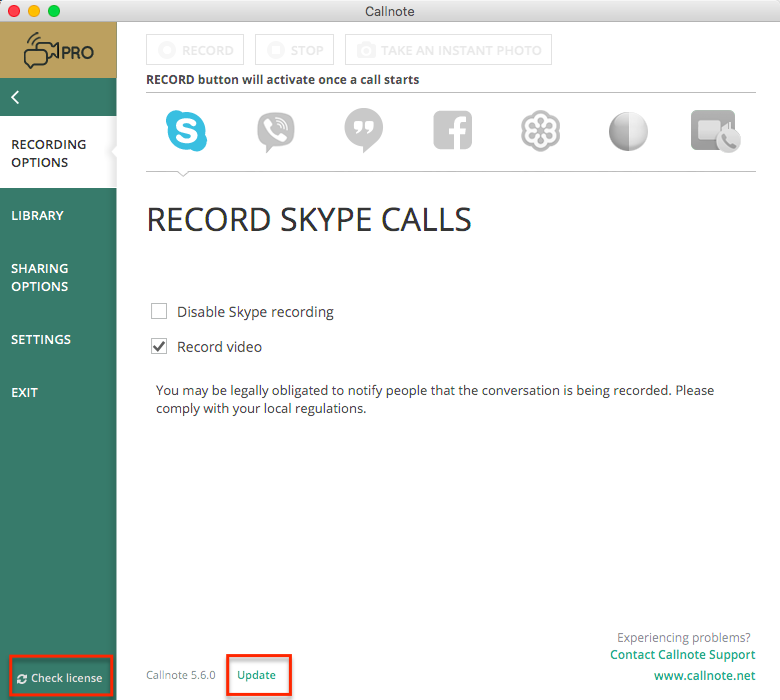 Callnote record widget appears immediately once you start or answer a Skype call. So, please stay on the Skype screen window and do not forget to press the “Record” button to start recording. Registered users: please click Update in Callnote window. Download and install the new version on your desktop. If the update does not take effect, please click “Check license” in the bottom left corner. New users: please go to download page and select the license type among Basic, Premium and Pro. Click Download and enter your details to register. If you need your Callnote starts recording Skype calls automatically, please consider downloading Classic Skype for Desktop version (Skype 7.x). Navigate to https://www.skype.com/en/get-skype/ and choose “Get classic Skype”. By clicking this link you can check what version of Skype you are using. Download the update and get started with Skype video call recording. Callnote DOESN’T work with Skype for Business. Skype wasn’t running when you started Callnote. Some security programs are configured to block Callnote. You can solve this problem by adding Callnote to the exceptions list in your antivirus/firewall software. When all else fails, restarting both Callnote and Skype is a good thing to try.